Dialachemist.com is a progressive extension of an existing medical service. 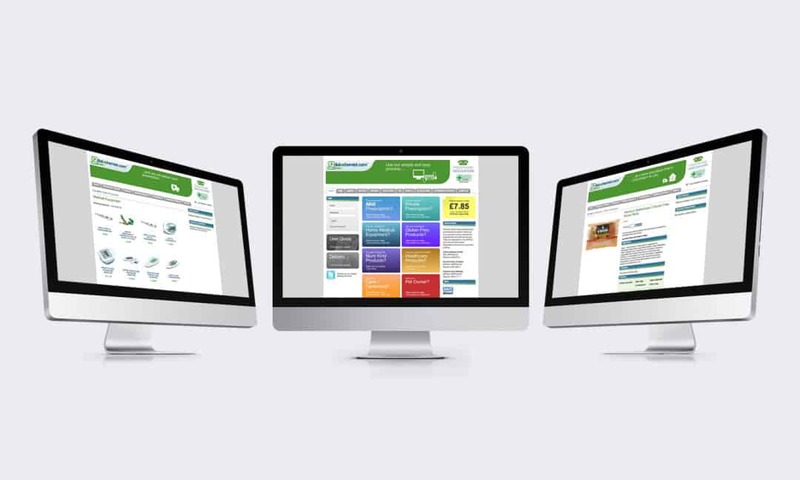 Dialachemist offers clients a wide range of ‘over the counter’ medically related products that complement its online NHS/Private prescription ordering service. This bespoke creation enables customers from the length and breadth of the UK to benefit from an online service with ease. We were approached by the Dialachemist team as they were looking to appoint a creative marketing agency to develop an innovative corporate identity along with an all new interactive e-commerce website to launch their new online services. With our wealth of experience in digital media they came to the right place and we were delighted with the results… as was the customer! More recently, we were commissioned to integrate a huge range of Warburtons products to specifically benefit those who have challenging dietary requirements. Creating an identity that represented what Dialachemist.com had to offer as an online business was key in the development process. A company logo is generally the first thing people engage with when they discover a new brand and is the first thing in their mind when they think of the company. The Creativeworld team created an animated version of the new logo that can be found on every page of the website.